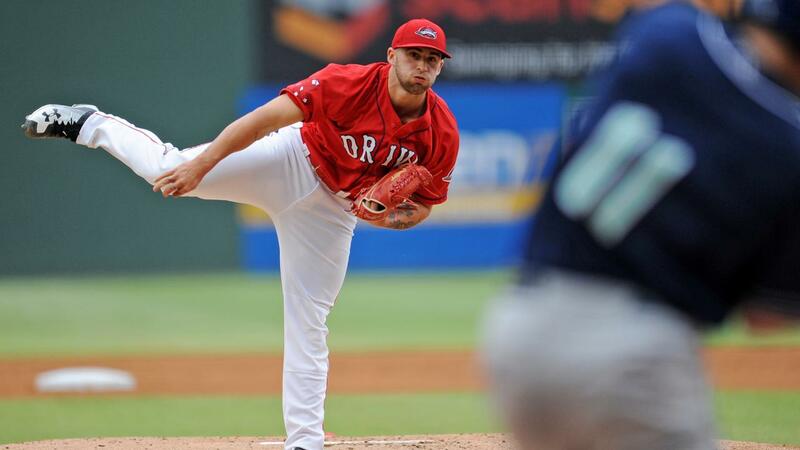 Greenville, SC - Behind a fantastic outing on the mound from Alex Scherff, the Greenville Drive took Friday night's series opener by a 7-4 score over the Asheville Tourists in front of 5,887 fans at Fluor Field. Scherff (1-4) earned his first professional win after throwing six scoreless innings while striking out three on five hits, and he threw just 65 pitches. Despite allowing five hits, Scherff's damage control was on point, as he did not allow a Tourists (20-32) runner to reach second base. The Drive (14-38) got the offense rolling early with a five-run third inning against Will Gaddis (2-3) that was mostly station-to-station baseball. A Charlie Madden walk, a Tanner Nishioka double, and a Lorenzo Cedrola hit by a pitch loaded the bases with no one out to get the rally started for the Drive. The runs started coming in immediately after as Frankie Rios brought in a run on an RBI single. Two batters later, Victor Acosta had an RBI single of his own to push the Drive lead to 2-0. Two more runs came in on a Tourists error and Kervin Suarez hit the third RBI single of the inning to finish the inning off at 5-0. The Drive were able to cash in some insurance runs in the seventh on a Rios double, plus an error and a Michael Osinski single. Rios powered the Greenville offense by going 3-4 with two runs and an RBI on Friday. After a scoreless seventh inning from Enmanuel De Jesus, the Tourists made things interesting in the eighth. With two runners on, Brett Stephens hit a single to right but an error caused everyone to advance a base and bring in the first run of the game for Asheville. Shael Mendoza hit an infield single to load the bases before Bret Boswell unloaded them with a double off the wall to slash the Drive lead to 7-4. De Jesus bounced back from the inning prior to throw a scoreless ninth inning and earn his first save with the Drive this year. Osinski joined Rios with a multi-hit night for the Drive, as he went 2-4 with a pair of RBI. 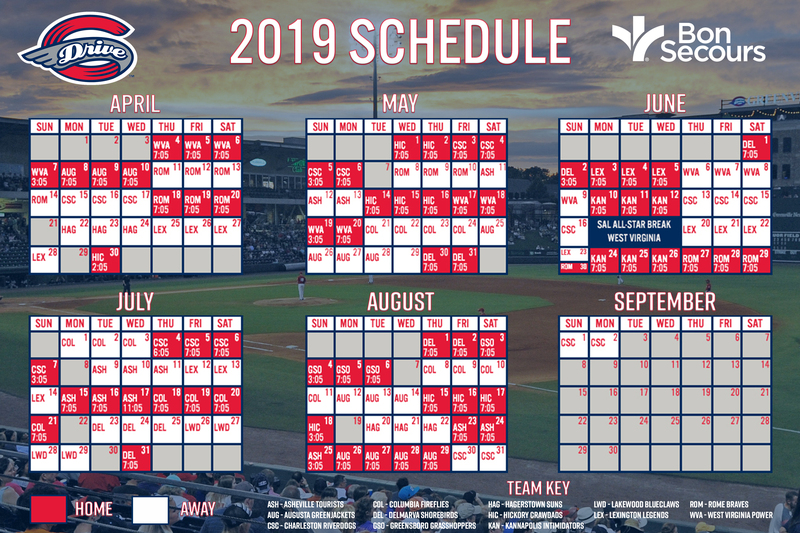 The Drive will go for the series victory on Saturday night at Fluor Field as right-hander Hildemaro Requena (0-0, 10.80) will take the mound for the Drive against Asheville right-hander Antonio Santos (1-6, 4.25). First pitch at Fluor Field is scheduled for 7:05.